German States - Saxony. 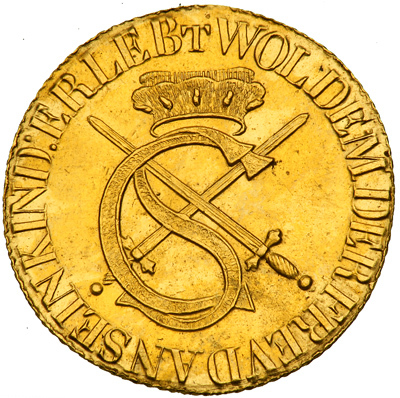 Ducat, 1616. Fr-2642. Sophia, 1582-1622. Struck until early eighteenth century. Initials. 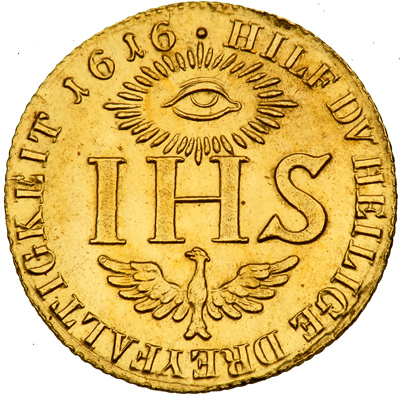 Reverse: IHS. Irregular edge. Extremely Fine. Estimated Value $225 - 275.